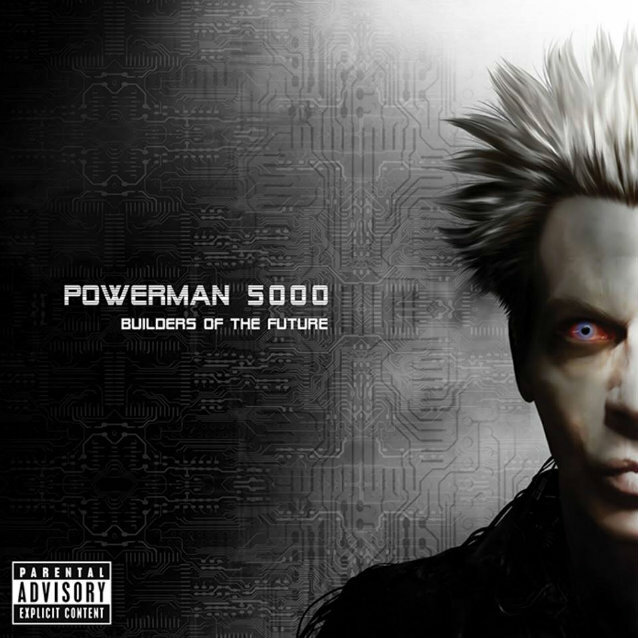 "Builders Of The Future", the new album from POWERMAN 5000, sold around 4,200 copies in the United States in its first week of release to debut at position No. 63 on The Billboard 200 chart. Issued on May 27, the CD is the first release through POWERMAN 5000's partnership with T-Boy Records, a co-venture with Universal Music Enterprises founded by veteran rock manager Andy Gould. 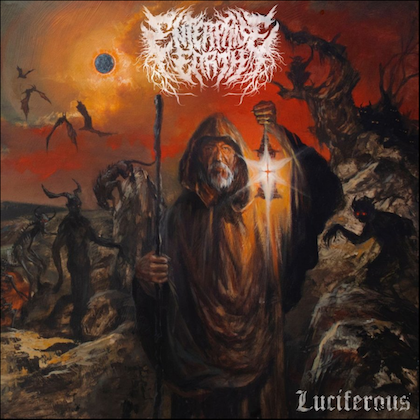 T-Boy releases include ROB ZOMBIE's "Venomous Rat Regeneration Vendor", MEGADETH's "Super Collider" and the self-titled debut album from KOBRA AND THE LOTUS. POWERMAN 5000 has carved out a corner of the galaxy where their devoted supporters created a culture that's bigger than music, drawing upon a tapestry of comic books, horror films and fantasy cobbled together years before "geek" became a hip buzzword. 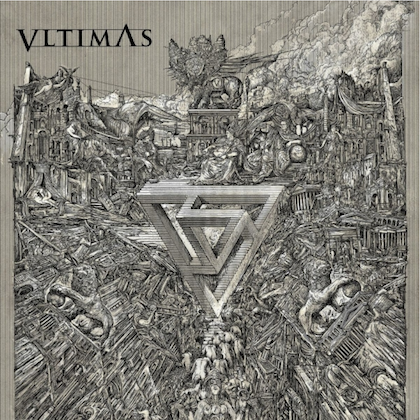 New tracks like "How To Be A Human", "Invade, Destroy, Repeat", "Live It Up Before You're Dead" and "Modern World" are turbocharged with the same futuristic, b-movie bite of enduring, electro-tinged POWERMAN 5000 anthems like "When Worlds Collide" and "Nobody's Real". "I never would have imagined that after all the albums, the band members, the ups-and-downs of the always changing music business, I'd still be here doing this, which is thanks to our most diehard fans," marvels band leader, visionary and sole remaining original member Spider One, who founded POWERMAN 5000 with a 4-track and a drum machine. Armed with giant hooks and crowd-empowering choruses, Spider and his merry band of musical superheroes have made a record vibrantly reminiscent of their commercial breakthrough "Tonight The Stars Revolt!" (which gave DreamWorks Records their first platinum plaque). "Builders Of The Future" delivers on the promise of 2009's return to form "Somewhere On The Other Side Of Nowhere". 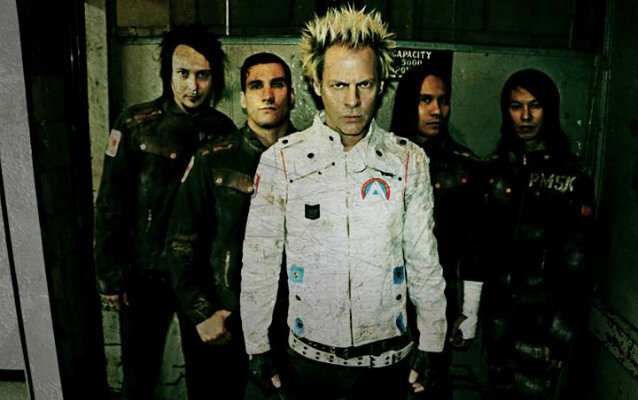 POWERMAN 5000 has retrofitted their songwriting prowess even further, sounding hungry yet sophisticated, as if smiling amid a dystopian landscape, flipping middle fingers in the air and dancing till doomsday. "At the end of the day, we are the ones who will go out and play these songs in every city in America and everywhere else around the world we can," Spider points out. "You have to live and breathe it. If you don't believe in it, it's easy for people to smell a rat. We can sit around and cry all day long about how the music business isn't what it used to be, but none of that really matters. What matters is to have a blast being in a band." "We've replanted our flag as the weird, sci-fi, electronic band," proclaims Spider. "This is what we are. This is what we do best. This is clearly what people like from us the most, too. So I'm going to love it like they love it. We're back. The fanbase has really rallied around us again. The enthusiasm feels like it's picked right up from the year 2000. 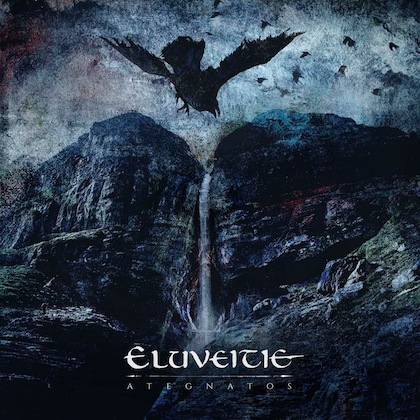 The electronic-metal-dance thing, we've locked it down once and for all with this one."